The School of Woodwork has just opened in Hythe, Kent and offers listed Joinery, bespoke carpentry, joinery and renovation services. The school offers training for all abilities and age groups across a broad range of carpentry, joinery, woodwork and DIY disciplines. Courses are available over a variety of durations, from three days and five days to a full ten-week evening class. 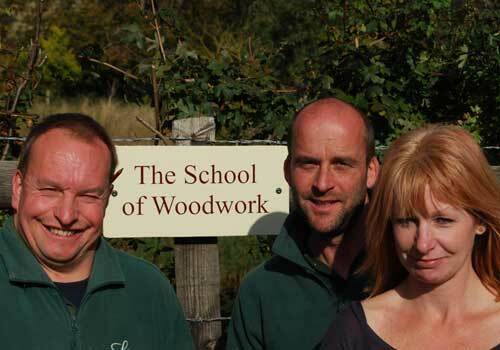 The School of Woodwork is taking a fresh approach compared to conventional carpentry courses, providing a syllabus that will give content-rich, practical lessons aimed at improving the skills of keen woodworking enthusiasts, as well as empowering home owners to undertake significant projects that would otherwise incur hefty costs from tradesmen. David Smith, Managing Director of Listed Joinery and Principal at The School of Woodwork, said: "Over recent years, we have been repeatedly asked by our carpentry and renovation clients if short, practical courses existed where they could get a flavour for our trade, or could help them take on projects such as hanging doors. So we put together a wide-ranging package of practical lessons which would enable individuals of all abilities to feel confident in undertaking projects of their own or, indeed, to change careers!" Lauretta Winstanley, from Construction Skills (The Sector Skills Council for Construction), said: "In my opinion the benefits of the school are immense, in terms of encouraging life-long learning, and empowering individuals to embrace the challenge of adopting new skills". You can find out more about the school by seeing details below.